If the foam is still in good shape and doesn’t have a foul odor, it can probably be used again. In this case, we’ll use the foam as the template and make new canvas to enclose it. Cushion covers feature zipper openings for easy access to foam and may have piping along seams. Make sure to ask us about covering foam with silk film to provide improved water repellency and minimize foul odors. If the original foam is no longer serviceable, we can cut new foam to the correct size and then make canvas covers for the new foam cushions. In a lot of cases, we won’t rely on the old foam for size. In these cases, we’ll make patterns of the seat which will then be used to cut the foam to size. Sometimes zippers break, buttons or snaps pull out or seams come apart. In any case, contact us to discuss repairing it. 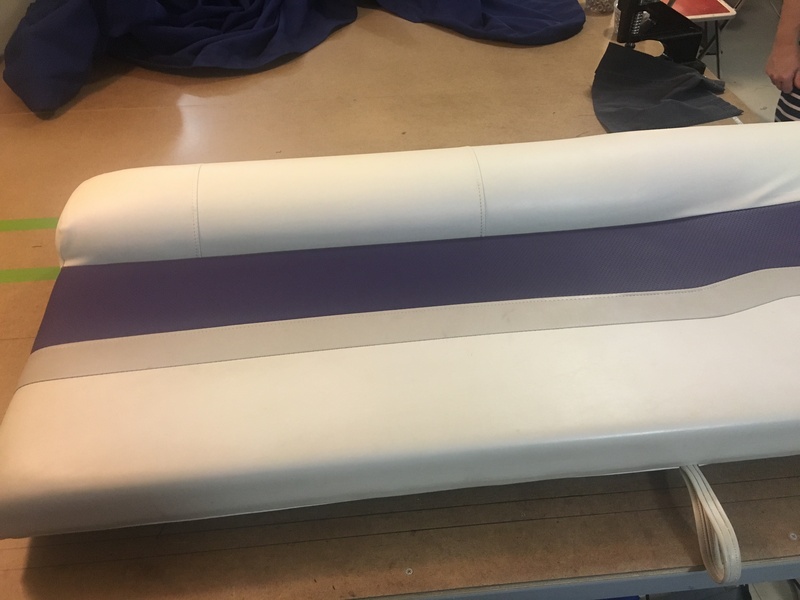 Also check out our page on upholstery repairs by clicking here. 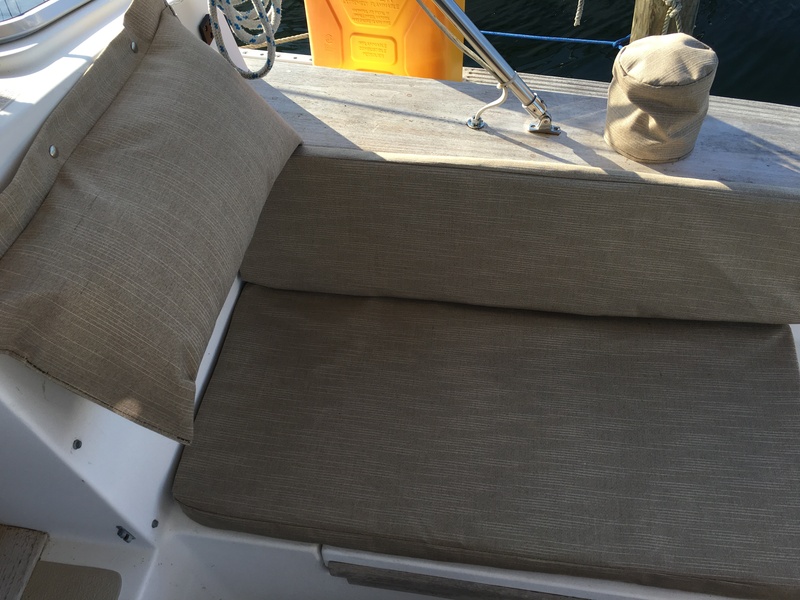 Vinyl cushions that are still in good shape but are permanently discolored by mold and mildew may be recolored to improve the cushions appearance. This is generally a cheaper option than having the cushion recovered. Sunbrella has the best life in the sun and elements. It also has many color options to choose from. It has the disadvantage that it is not waterproof, though this can be mitigated by using silk film around the foam or by using closed cell foam. Vinyl offers better protection than Sunbrella as far as keeping foam dry. It is also easier to clean if mildew grows on the underside of the cushion. Vinyl has the disadvantage that it doesn’t have the best life in the sun and is susceptible to cracking. Click here to see a selection of Sunbrella’s interior canvas color options. We generally use exterior vinyl products, such as Naugahyde, to cover exterior cushions. Click here to see a selection of Naugahyde’s All American vinyl collection. Contact us for more information or to receive a free quotation.